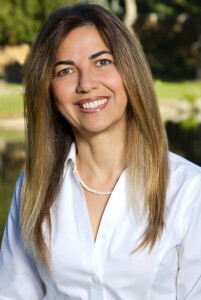 Dr. Afzali graduating with high honors received her dental degree from University of Missouri in Kansas City in 1991. UMKC is known for being one of the frontiers in the field of dental research and education. After practicing as an associate dentist for two years in San Diego, Dr. Afzali established her own private practice in the community of Rancho Bernardo in 1993. The practice grew rapidly due to commitment of Dr. Afzali and her caring staff toward the patients. Compassion for the art of dentistry relentless commitment to providing the best possible care for her patients have contributed in establishing Dr Afzali as one of the most prominent members of the dental profession. Dr. Afzali is constantly seeking continuing education to provide all the latest advancements in the field. She frequently attends study clubs and various seminars focusing primarily of cosmetic, implant and sedation dentistry.